Mentioned Senja and I will immediately think of fine Italian cuisine set in an elegant and romantic setting surrounded by lush greens and a lake in The Saujana Hotel Kuala Lumpur. Known for fine Italian cuisine, Chef Filippo Giunta has been serving up his repertoire of authentic and fine Italian dishes to many gourmands. Senja is perfect for entertaining for both business and pleasure. During the day, the elegant restaurant caters to many business lunches while the evenings has Senja playing host for business entertainment and also romantic dining experiences. 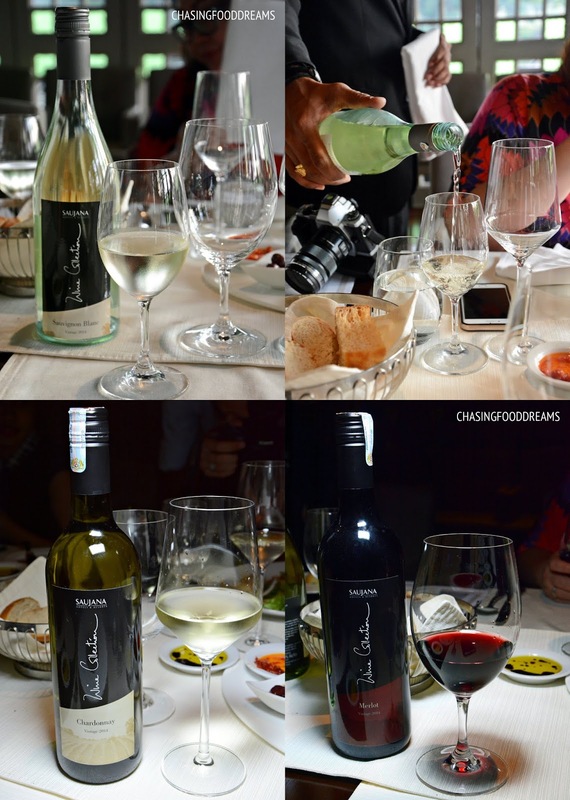 The Italian restaurant has a solid list of wines to be paired with their Italian menu and even carries their own house wines under Saujana Hotels & Resort Wine Collection. The collection of red and white originates from Western Australia – Margaret River and Great Southern. Both regions are said to produces some of the finest of the country’s wines and accounts for approximately 26% of the ultra-premium segment of the market. Saujana Hotels & Resort Wine Collection features three wines – Sauvignon Blanc Semilion, Chardonnay Sauvignon Blanc Riesling and Merlot. My favorite of the three wines was both the whites. The lovely Sauvignon Blanc Semilion has light pale straw hue and was gorgeously crisp and fresh with a good balance of sweetness and citrus aroma. The Chardonnay Sauvignon Blanc Riesling also had a beautiful pale golden hue and was very fresh and clean on the palate. There seems to be a good note of citrus aroma that I really enjoyed. The Merlot wasn’t too bad as it had notes of berries with a mild finish. I just happen to love white wines nowadays more than reds. 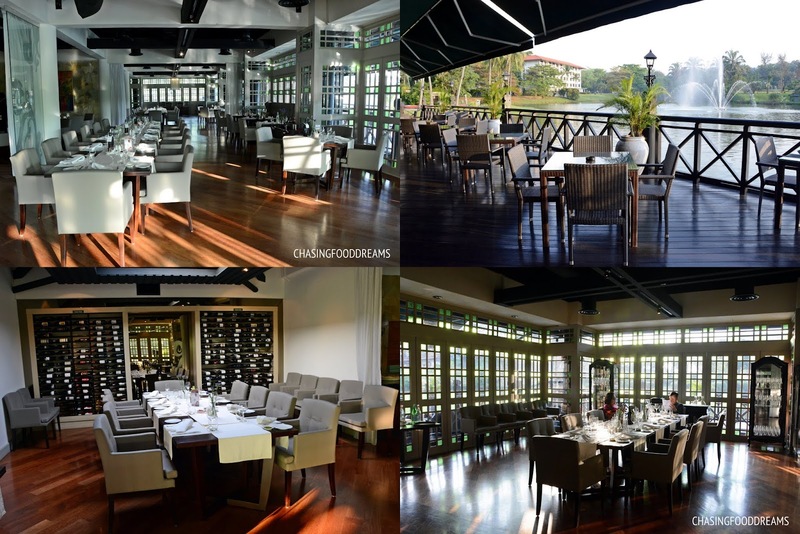 Enjoy the Saujana Hotels & Resort Wine Collection in any of the restaurants in the hotel. The wines are not part of the Senja Business Set Lunch promotion. Senja has recently introduced a new ‘Business Lunch Set Menu’ designed to offer busy working diners a scrumptious Italian dining experience during their tight lunch hour. Busy diners not only have the option to customize their 3-course meal with this Business Lunch Set Menu but are also provided with the enhanced service steps that enable a quick yet satisfying meal within 1-hour. Priced at RM60nett, the 3-course meal has a solid list of Italian favorites from salad or soup to main course and dessert. Award winning Chef Filippo has designed the Business Lunch Set Menu with many classic Italian favorites in all three courses. First up, freshly baked bread with condiments is always a favorite of mine at Senja. Enjoy the bread but make sure to save some room for the coming set menu. From the Salad and Soup Course, diners can select from the following of Carpaccio of Smoked Salmon, Fennel Salad & Oranges, Chef Filippo’s Caesar Salad with Chicken, Poached Pears, Rocke & Gorgonzola Dressing, Fava Bean Soup with Sundried Tomato & Dill Oil and Wild Mushroom Soup & Truffle Oil. The Carpaccio of Smoked Salmon, Fennel Salad & Oranges features a great combination of salty smoked salmon lighten with shaved fennel, orange segments and rocket salad finished with thin crispy croutons. The subtle aniseed flavour from the fennel worked really well with the juicy tang of the oranges while bits of rocket bitter notes balanced out the savory flavours of the salmon. Chef Filippo’s Caesar Salad with Chicken won our hearts with the luscious house made Caesar dressing. The bed of crisp romaine lettuce has grilled chicken, roasted tomatoes, quail eggs, crispy croutons, slivers of anchovies and shaved parmesan. Ordinary on its own but when combine, flavours are excellent with an intense garlicky creamy note that is guaranteed to thrill one’s taste bud. The next dish may only consist of few ingredients but it is thoroughly excellent if you are a fan of strong cheese. Poached Pears, Rocket & Gorgonzola Dressing is sensational, simply because I happen to love cheese. The gentle sweetness of the soft poached pears is balanced with bitter rocket leaves, dollops of pungent gorgonzola cheese dressing and dots of balsamic vinegar. The minimalist ingredients allowed the whole dish to stand out from all its individual ingredients. I was so smitten by this dish! If salads are not your thing, then the soups are equally delicious. Choose from choice of Fava Bean Soup with Sundried Tomato & Dill Oil or Wild Mushroom Soup & Truffle Oil. Both bisque are very good and have sufficient flavours of its main ingredients. The Fava Bean Soup had more of a nutty and creamy edge while the Wild Mushroom Soup is filled with earthy warm notes and perfumed with a luscious aroma of truffle oil. Senja is famous for their wood-oven pizzas and has quite an extensive choice of pizzas on their regular menu. There are also two choices of pizza of Pizza Margherita or Pizza Contadino. Both pizzas are equally rustic and exceptionally delish. Pizza Margherita offers the classic combo of tomato, mozzarella and basil pesto while the Pizza Contadino has tomato, mozzarella, mushroom and rocket leaves. Both pizzas are generously portioned as well. The Business Lunch Set Menu offers three choices of pasta. Spaghetti Bolognese will always be a favorite of many and Chef Filippo’s Bolognese sauce is delightfully rustic and enjoyable. It reminded me more of a ragu type of sauce as the meat is in small chunks rather than minced and it is not overwhelmed with the usual tomato sauce flavours. It is more of a stew cooked like how Italians would normally enjoyed this dish. Penne Carbonara also fared well as it comes with a soft poached egg, nestled on the pasta with mushrooms. It has the essential flavours of a good carbonara and the egg made the dish even more delectable. Diners can opt for mushrooms or beef bacon for this carbonara dish. The Italian cooks their rice different from ours. I am not complaining as I am a huge fan of risotto. The Seafood Risotto in Livorno Sauce and Lemon Confit is super yummy with just the right amount of moistness and flavours. I enjoyed the lightly tangy tomato based seafood sauce and the rice was cooked to al dente. Other mains include a Pan Seared Seabass with Butter Spinach & Spicy Seafood Sauce, featuring a lovely piece of sea bass pan seared and crowned with a lightly spicy tomato seafood sauce. The bed of wilted buttered spinach provides some greens to the dish. Beneath the bundle of green is actually shredded lamb which has been slow cooked for hours to render its tenderness and flavours. The dish is relatively delicious but I prefer the lettuce to be more tender. Flavours are very good though so if you love lamb, make sure to choose the Slow Cooked Lamb Shank Tortino, Wrapped in Baby Lettuce with Red Wine Sauce. Dessert course offers Chef Filippo’s Tiramisu and Strawberry Ice Cream with Crunch of Biscuits & Chocolate Sauce. Chef Filippo makes a mean tiramisu, apparently a recipe from his family if I am not mistaken. It’s not over heavy and yet has enough hits of coffee and cheese notes to make every ending a very sweet one. The Strawberry Ice Cream with Crunch of Biscuits & Chocolate Sauce was decent and makes an icy and creamy ending for the meal. Priced RM60nett for any 3-dishes, mix and match your lunch with Senja’s new Business Lunch Set Menu with a choice from Salad, Soup, Main and Dessert courses. There is also a choice of soda beverage with the set menu.